Each French Riviera pop consists of 2 luscious marshmallows on a stick, wrapped with a gold bow and clear bag. 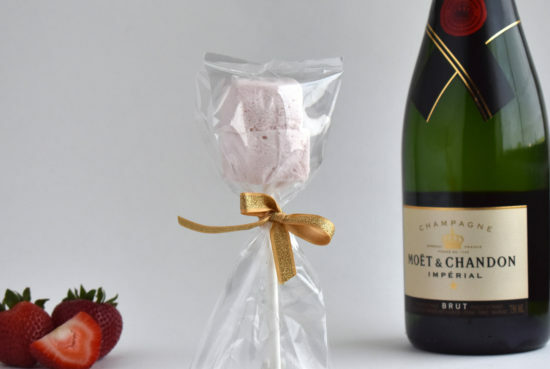 French Riviera marshmallows are a delicate balance of fresh organic strawberries, Domaine Chandon® étoile Champagne and super creamy, fluffy marshmallows. 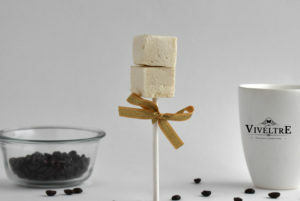 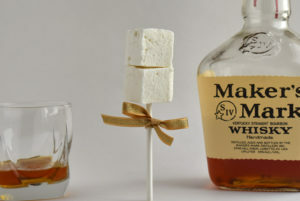 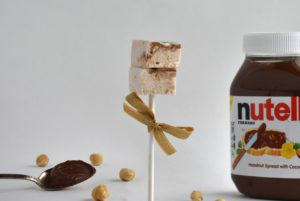 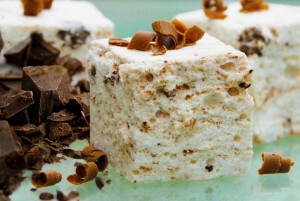 Our marshmallow pops are perfect for your dessert table, as wedding favors or as a gift for a special someone.